Many of Ohio’s most successful health outreach programs began as healthy ideas. Over the years, the Columbus Medical Association Foundation has helped physicians transform their ideas into thriving organizations. Of these organizations, three have impacted the Central Ohio community in especially large ways: Physicians CareConnection (PCC), the Central Ohio Trauma System (COTS), and the Physicians Leadership Academy (PLA). Each of these organizations was formed with the goal of addressing specific health and wellness needs. Through support of the CMA Foundation, each organization has not only met those needs – but exceeded them. So how does a person transform a healthy idea into a thriving organization? We spoke with a few of the doctors who started these organizations to learn more. “Several forces created the conversation at the CMA (then the Academy of Medicine). First was the growing disparity between insured and uninsured patients,” Dr. Edward Bope explained. Dr. Bope was instrumental in establishing the Physicians Free Clinic in the mid-1990s. This volunteer clinic (located in downtown Columbus) serves as a walk-in, episodic care clinic for homeless and other medically indigent individuals. “We wanted to be more than a band aid approach. We thought if we could get people into medical homes they would receive better preventive care and maybe have fewer complications,” Dr. Bope said. Drawing on the support of CMA physicians and the Columbus Health Department, the clinic grew quite rapidly. Local doctors, nurses, and medical students were eager to volunteer their time. In addition to the medical students at OSU, the free clinic gained support from several local hospital systems. Two hospitals, Grant and Riverside, even volunteered to conduct laboratory tests and x-ray imaging for free. As the clinic continued to grow and evolve, Dr. Bope and his peers began to recognize additional healthcare barriers in the community. Studies conducted by local health entities revealed that (1) health providers were not effectively coordinating their existing resources and (2) uninsured patients were struggling to navigate common health barriers such as coordination of care, transportation, inconvenient hours, lack of education, and stigmatization. “Many physicians wanted to help in some way but just couldn’t come on Mondays. Some of the specialists needed equipment that they had in their offices, so the idea of a volunteer network emerged and was very popular,” Dr. Bope explained. In 2003, Access HealthColumbus established the infrastructure to support a care coordination incubator, called the Voluntary Care Network. The goal was to build an organized network, linking low-income uninsured Columbus residents with medical homes, thereby improving access to specialty care. All four Franklin County hospital systems agreed to collaborate on this effort, and in 2009 the Voluntary Care network was integrated as an extension of the Physicians Free Clinic. “Even primary care doctors would accept a certain number of patients into their practice. This widened the resources for getting specialty consults for the Free Clinic patients,” Dr. Bope said. A StepOne care coordinator assists a client at the Physicians CareConnection. Out of these efforts, the Physicians CareConnection (PCC) was born. Today, in addition to the Free Clinic and Voluntary Care Network, PCC also connects pregnant women with prenatal care services through their StepOne for a Healthy Pregnancy program. The program was developed in 2016 to address the worsening infant mortality rate in Central Ohio. Through these and other programs, PCC continues to expand and address new patient needs. Each share the goal of improving care coordination for people who are vulnerable in Central Ohio. Click here for more info. In early 1995, members of the Columbus Medical Association came together to discuss the increasing numbers of Ohio youth dying from preventable traumatic injuries. Physicians recognized a need for effective coordination across various hospital systems. In response to these concerns, the Regionalized Trauma System Task Force was established. 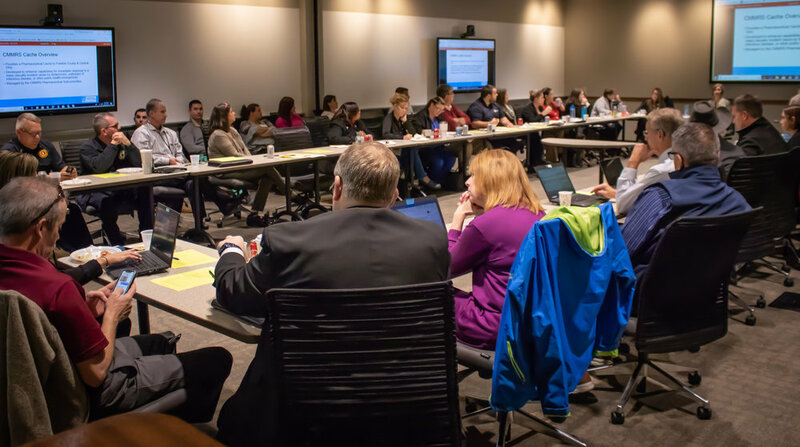 Comprised of eleven local physician and nurse trauma care leaders, their mission was to explore possible solutions to increase victim survival after a critical trauma event in central Ohio and to address public injury prevention education. The group grew quite rapidly, and in 1999 the Central Ohio Trauma System (COTS) was established. What began as a small task force of physicians was now a full-fledged nonprofit, aimed at addressing trauma care issues and educating stakeholders on emergency medical care procedures. Today, COTS plays a major role in coordinating disaster preparedness for the region’s hospitals and healthcare systems. Additionally, they educate the community on issues surrounding trauma, emergency services, and disaster preparedness. COTS network is comprised of thousands of physicians, nurses, EMS providers, first response personnel, and public health experts. “The CMA Foundation gave us seed funding initially, and then eventually sustainable funding. Without their funding we couldn’t begin to do all of the things we currently do and have done,” Dr. Falcone said. Through its many efforts, COTS continues to improve patient outcomes related to trauma, emergency services, and disaster preparedness. They are presently the nation’s largest provider of specialty trauma care for physicians. Click here for more info. In 2012, Ohio physicians were growing frustrated with the healthcare system. Many felt isolated within their practices and weighed-down by the emotional stress they routinely faced in their workplaces. With support from the CMA Foundation, a group of local physicians and health professionals came together to address these problems. Among them was Dr. Phil Cass, former CEO of the CMA. After conducting 50 in-depth interviews with area physicians, the group determined that doctors needed to increase their leadership capacities in three key areas: (1) emotional intelligence, (2) social intelligence, and (3) cognitive capacity. The CMA Foundation provided a planning grant to develop a strategy for improving these capacities. 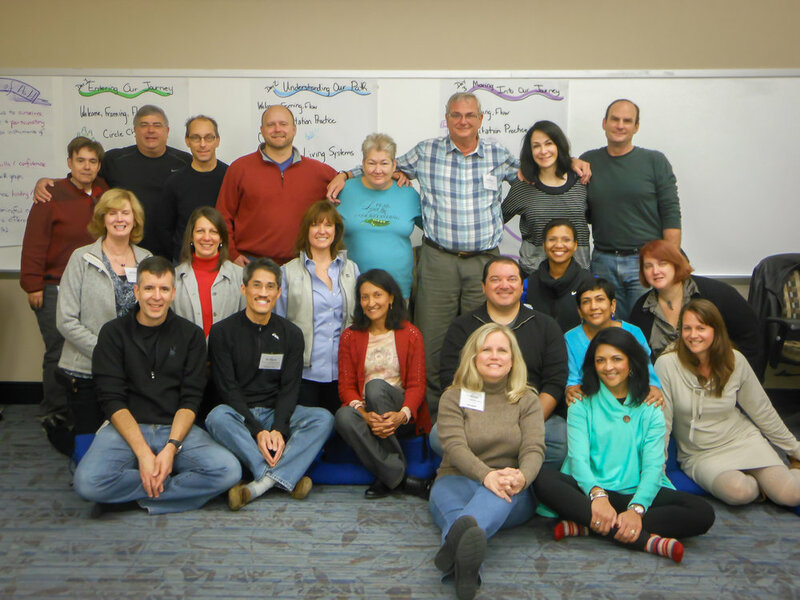 An advisory group of physicians and community experts began developing a course and, in September of 2014, the Physicians Leadership Academy enrolled its first participants. The class of 17 doctors represented a variety of backgrounds and specialties. Dr. Cass was charged with leading these efforts. Drawing on his years of counseling expertise and experiences working with physicians, he implemented the group’s ideas. “It was wildly successful,” Dr. Cass said. In fact, as Cass and his cohorts proceeded with the course, they quickly realized that the PLA’s impact was much greater than they had initially imagined. According to Dr. Cass, once the faculty had identified this need physicians had for connection, fostering a “cohort community” became a major objective of the PLA. Since then, the PLA has succeeded each year in building classes into a deeply-connected community. “We hear things like, I can’t believe I’m in this place where I can talk to other doctors,” Dr. Cass said. Now in its fifth year, the 10-month program has provided over 60 physicians with both the support and the leadership skills they need to transform their daily practice. With seminars covering topics such as mindfulness training, organizational culture, systems and design thinking, complexity theory, healthcare finance, and health advocacy – the course is unlike any other leadership program. “The testimonies we’re getting from physicians are extraordinary. I’ve been lucky enough in my life to be involved in a lot of transformational projects, and this may be the most transformational project I’ve ever been involved with,” Dr. Cass said. Because of its large impact on the community, the CMA Foundation subsidizes a large portion of this course’s cost for physicians. Click here for more info. Each of these organizations began as an idea, and for over 50 years, the CMA Foundation has supported healthy ideas. By partnering with area physicians and health professionals, the CMA Foundation is working to solve the health and wellness issues impacting Central Ohio residents. Through giving of their time, talent, and treasure, physicians can help to support these transformational projects. For more information about giving to the CMA Foundation, click here. To request a meeting or share an idea, contact Weldon Milbourne (wmilbourne@cmafohio.org).